It's a love story hotter than the boiling oil in a sizzling hot wok. Across the street of the 6-star Hotel Giant, there stands a small, shabby Chinese restaurant, Hungry Wok. Chil Seong, the owner of the restaurant, originally took over the restaurant in order to provide a place to work for his former prison mates. One day, a man and a woman whose lives turned upside down overnight come visit Chil Seong. A former star chef, Seo Poong, and a broke heiress, Sae Woo, are in need of Chil Seong's help so that they can get back on their feet. 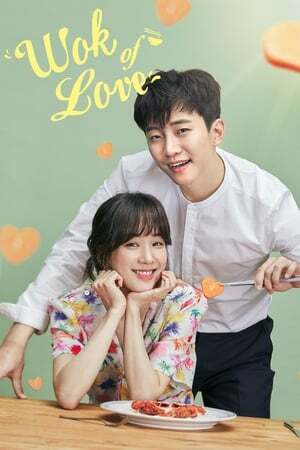 Tune in to Wok of Love and learn about the passion and love that can be found in the hectic working environment of a kitchen.